If someone told you that Carlito was in someway related to the producers of this show, you wouldn’t be THAT surprised right? I wasn’t even sure that he was good enough to be part of the top 16 and here he is in the top four. Carlito’s ascension to the final four (and really, Restless Road too) shows a fatal flaw with these singing shows. It’s a man’s world thanks to the voting demographics. Out of the four acts left, one woman is left and she’s part of a duo. Now, I think we all agree that Sierra is the greatest thing since sliced Wonder bread, but I thought two of the best singers in the competition were Ellona Santiago and Lillie McCloud. And one of the best stories in the history of this genre was Rion Page, who can also sing. And yet they’re all gone. We see the same thing happen on American Idol. If you’re a half-handsome Caucasian young man, you have a great shot at winning that show. If you’re a woman, you have to really wail hard to win the show. Tonight, each act performed three times including a competitive duet. And yes, with just four acts left, they still made us sit through two hours. 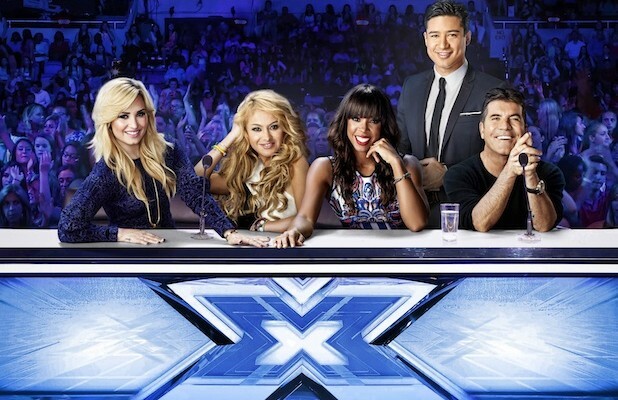 Let’s get to the X Factor Usa Recap for season 3. 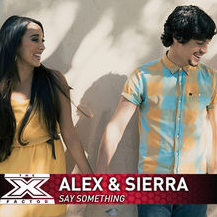 Well, you could’ve picked any Alex & Sierra performance. But since they have their own section below, I’ll add the best performance from someone else. Even though we’ve heard this song on just about every season of every singing show, I still have to go with Jeff Gutt’s version of Hallelujah. It’s not the best cover you’ve heard. But it was an excellent one. Props as well to Carlito Olivero for his version of ‘NSYNC’s Girlfriend. It was a song chosen by the audience and it worked perfectly for him as it opened the show. There was only one performance that looked out of place on this show, which was yet another strong show. I think Restless Road has been riding on their own coattails of their first few weeks. They haven’t evolved and they’ve been passed by. Their version of Luke Bryan’s That’s My Kind of Night was simply boring in comparison to the rest of the performances on Wednesday. As you can see, I moved Alex & Sierra to the front of my ranking. Initially, I thought they were a bit gimmicky, but in these past few weeks, they’ve proven to be legit. And, man Sierra. Either of their three performances could be the best performance of the evening. But I’ll choose their first performance. This was also a fan’s choice. They performed Little Talks by Monsters and Men. It wasn’t quite Say Something (which went number 1 on iTunes for a short time last week), but damn, these two are good. It would be near criminal to not have a Jeff Gutt vs. Alex & Sierra final two. Carlito is decent, but his time has come. You can’t have the guy who continually says he’s getting better every week win the show. Restless Road bores me. So it’s not just a creative name. I think Restless Road goes home tomorrow. And this time, the judges have nothing to do with it. It’s all based on the fan vote.